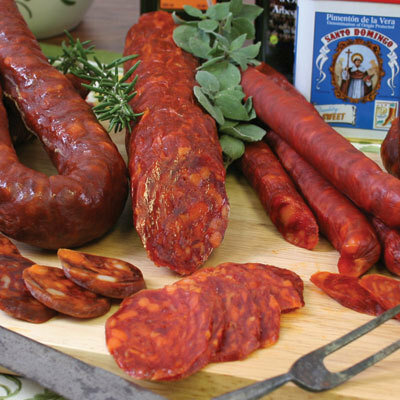 Cured, Made with pork, salt, paprika, garlic and natural flavor, smoked, gluten free. All natural, whiteout artificial colors and preservatives, perfect for snack and hors d'oeuvres. .